As a competitive athlete you constantly set yourself ambitious goals and don’t accept any compromiseson the journey to reach them. One key to this is choosing the right food supplements for your training orcompetition plan. 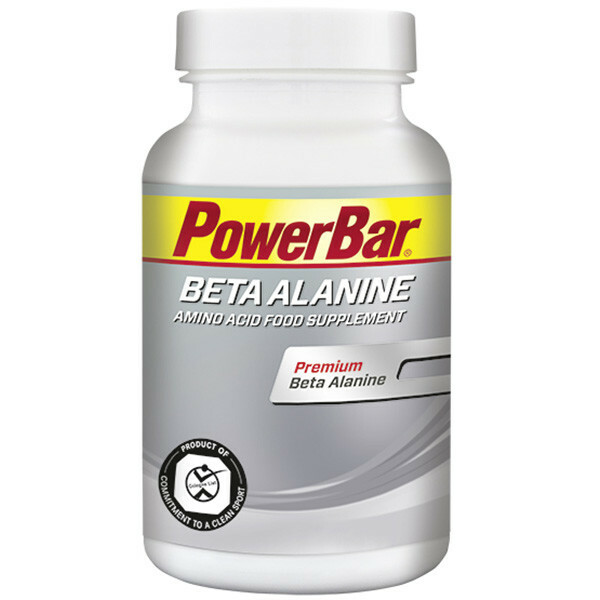 PowerBar BETA ALANINE is designed to be taken during periods of high intensity training and competition. Beta-alanine (69,7%), bulking agent (hydroxypropyl methylcellulose), anticaking agents (fatty acids, magnesium stearate, silicon dioxide). May contain traces of gluten, egg, milk and soy. Plan to start supplementing with BETA ALANINE tablets about 4 weeks before you ramp up your high intensity training. These first 4 weeks you will follow a ‘loading phase’. Loading phase: During the first 4 weeks, take two tablets twice a day. Space the two doses at least 3 hours apart. 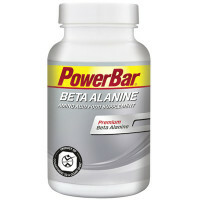 PowerBar BETA ALANINE should preferably be taken with food. Maintenance phase: In the last 4 weeks of use, take two tablets once a day. This food supplement should not be used as a substitute for a varied diet. A balanced diet and a healthy lifestyle are important. Do not exceed the recommended daily intake. Keep out of reach of children. Research indicates that carnosine levels remain elevated for up to about 9 weeks after BETA ALANINEsupplementation is discontinued.